The wildlife photographer went silent and squatted to the ground, swinging his camera to his eye in one practiced movement. The boy went one further, lying full length along the ground. His expensive camera had been working hard on this trip. Subconsciously, his actions had been mimicking the older man’s all day. They had discovered a shared photography interest, but one was vastly more experienced at the craft than the other. Both of them were intently focussed on the Red Kangaroo drinking from a scrape in the outback. 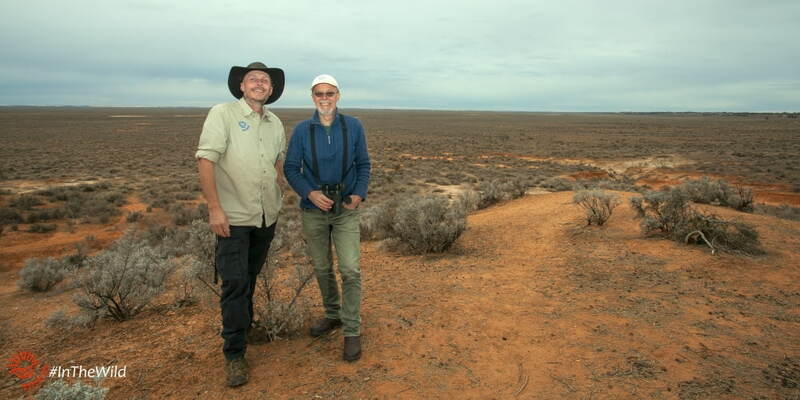 Earlier that afternoon, the tour group had walked past this spot – Vigars Well, at Mungo National Park – and seen a few kangaroos in the distance and some galahs near the water. 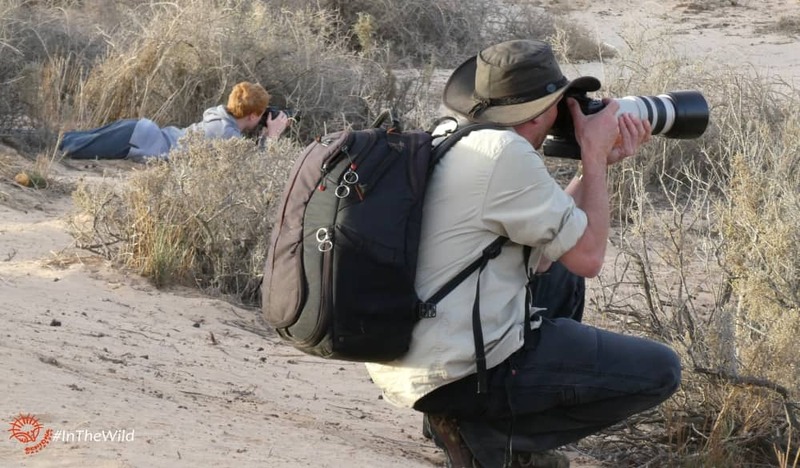 Both photographers had paused, but lead Wildlife Guide Roger encouraged them to leave, knowing that as sunset approaches wildlife would get bolder and kangaroo photography would improve. 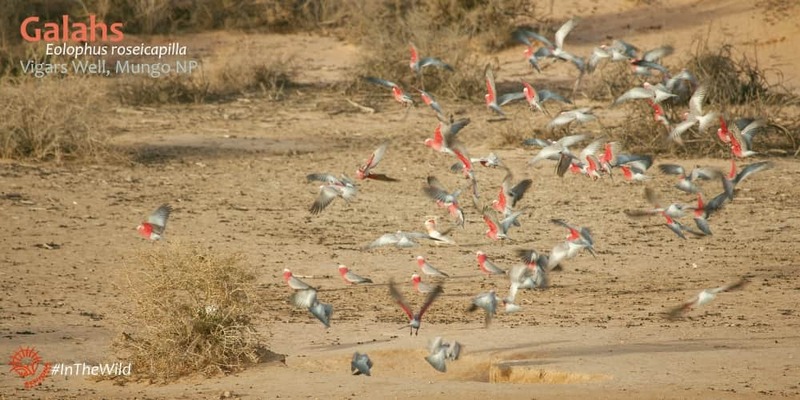 Later the whole group had come down from the big sand dunes to find a wildlife paradise at Vigars Well. 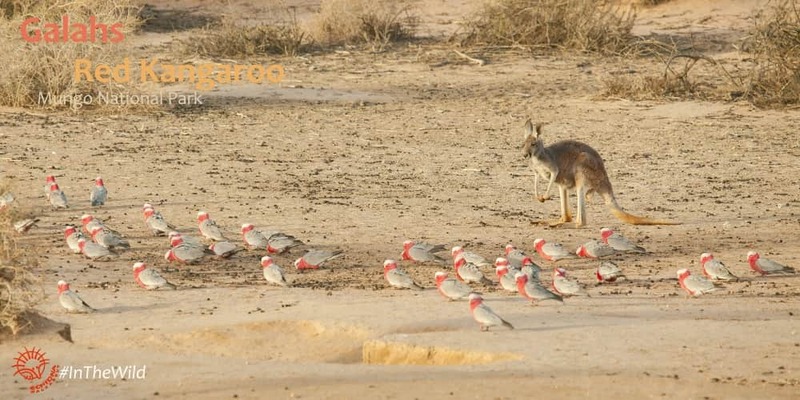 Western Grey and Red Kangaroos vyed for a turn at the drinking scrapes in the sand. Eating grass is thirsty work, and these kangaroos hadn’t had a drink since dawn. 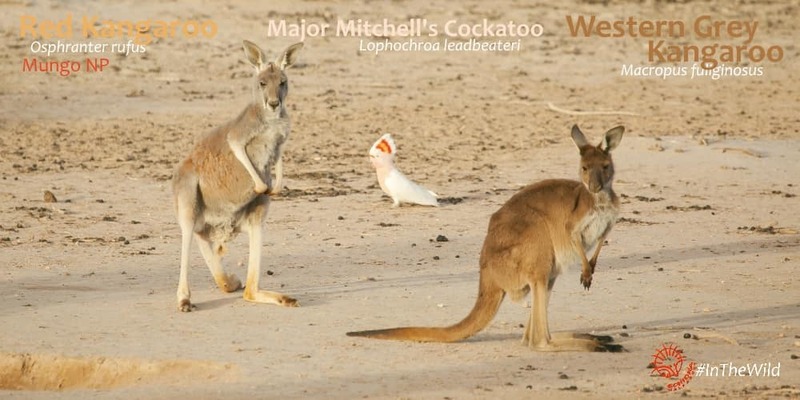 Between them, Major Mitchell’s Cockatoos and Galahs walked and flew around, also thirsty. Professional Wildlife Photographer and Wildlife Guide Michael had snapped into position behind a bluebush to photograph the spectacle. 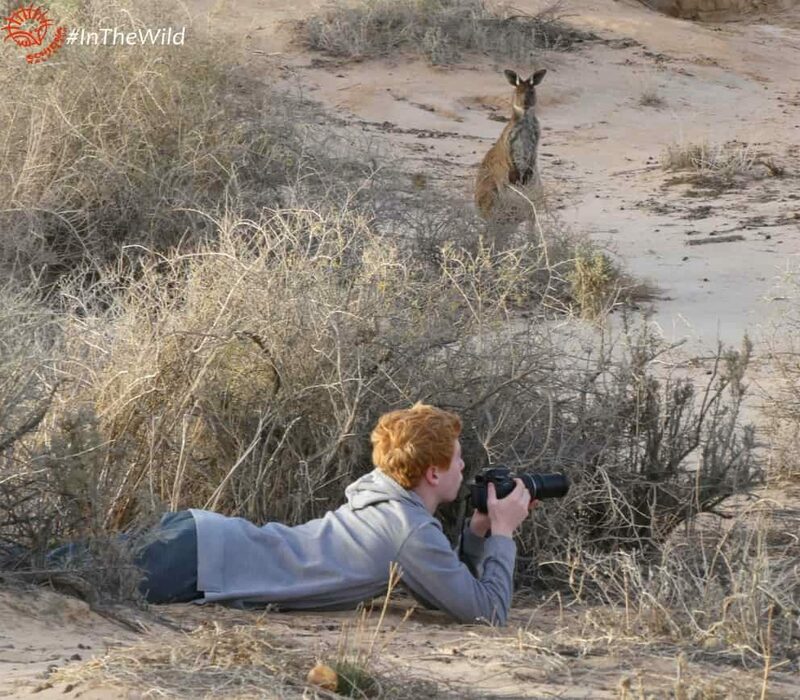 Young guest Daniel stepped past him and lay down behind a saltbush, steadying his camera with his elbows in the sand. Dials were twiddled, screens were checked. The rest of the group – Daniel’s family – smiled and watched his photography endeavour silently, enjoying the kangaroos and cockatoos. A young Western Grey Kangaroo appeared from the north and hopped towards the well. 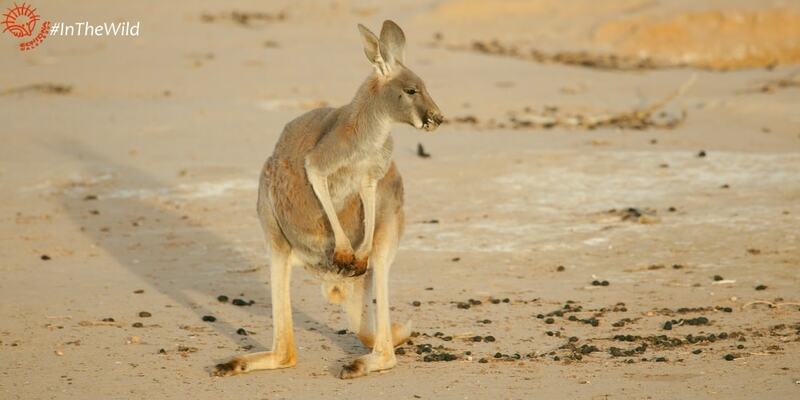 Kangaroos are almost silent when they hop. She hopped to the saltbush that Daniel was laying behind. The kangaroo could see Daniel, and was wary. But he couldn’t see her. The group tried to get Daniel’s attention – his mum and Guide Roger waving and pointing – but he was intent on his craft. For a few minutes the kangaroo and the boy shared the space. Then the kangaroo hopped out of cover and right in front of Daniel. He rocketed to his feet, mouth agape. Then turned to his family, and started laughing. The Mungo Outback Journey is a perfect trip for families, especially with teenage kids. Its a private tour, so the interests and needs of the group can be allowed for easily.